I met my therapist Arzis for Facial Care, the Afyon name for facials. 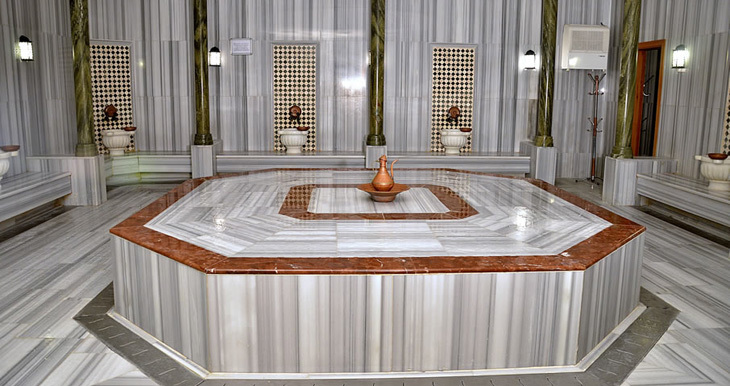 The products used at Korel Thermal Resort are by the French product house, Babor. The treatment beds used are like dentist chairs, but less scary-looking as they are made of white leather. The treatment started rather brutally with a close-up examination of my skin via Arzis’s fluorescent-lit magnifying glass. Arzis then announced that I needed Eye Care, an Intensive Anti-Ageing Facial, and Blackhead Extraction. A little harsh but probably true! 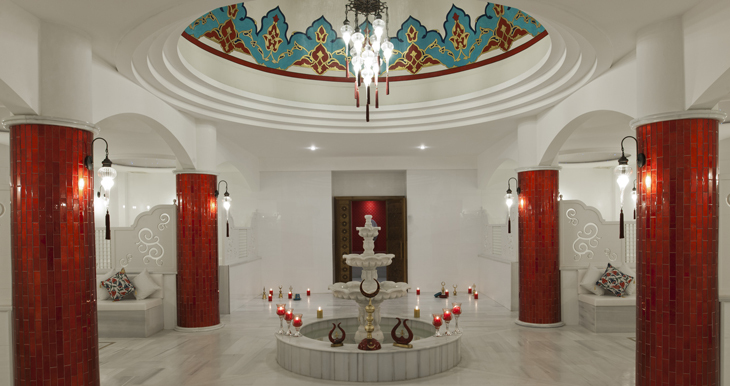 Facials at the Korel Thermal Resort are prescriptive in this way, with a menu of individually priced elements; these elements are combined by your therapist once she has assessed your skin. The facial started with a cleanser followed by a peeling mask. Arziz then aimed a steam machine at my face and left the room for several minutes. With my pores open, Arzis worked to extract blackheads from my nose area, following this with toner. Arzis applied a mask for sensitive skin and some eye cream. She placed cotton wool over my eyes and left me to doze. When she returned, Arzis did a very strong arm and hand massage, during which I dozed off again. Arzis took off the mask with a damp sponge and applied vitamin serum and eye cream. She applied lashings of facial massage cream and carried out a wonderful ten-minute massage. Arzis pressed her thumbs deeply into my temples to ease away tension. By the time she had finished, I felt light as a feather and totally relaxed. Oh, and my skin was glowing, too. 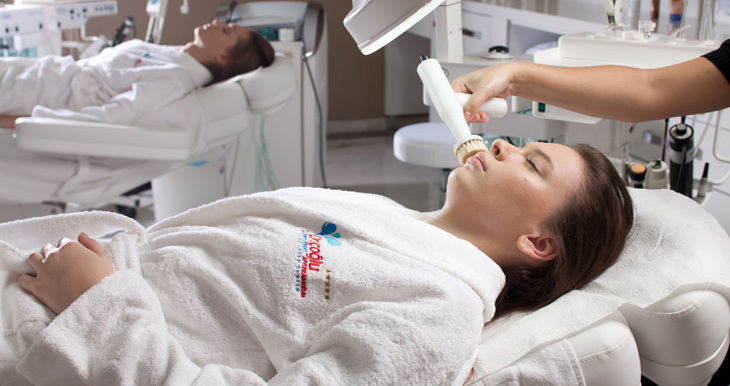 Try this treatment if: You want a prescriptive, personalised facial, tailored exactly to your needs. Summer Spy explores the historical and the new at Thermae Bath Spa. What time is your skin o’clock? 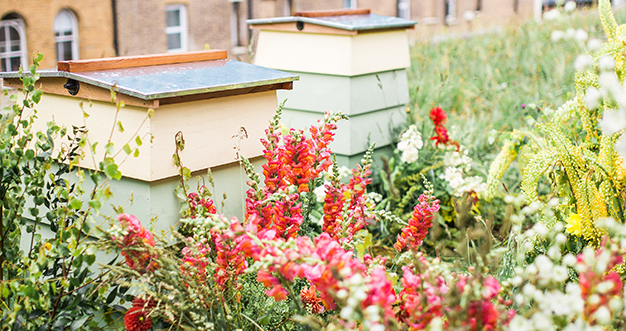 Honey Bee Facial: what’s the buzz?